We are about to head off home. After ten lovely days in Lisbon we came back to Germany for ten days in Berlin, via a short diversion to Rotterdam to catch up with friends. A lot has happened and there's heaps of stories and snaps for later. 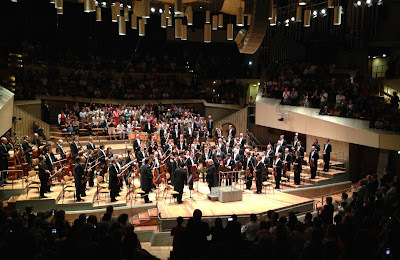 We're just back from a hugely emotional night at the Philharmonie. The orchestra is simply in a class of its own and the love that was poured out for Barenboim with a genuine and sustained standing ovation was very affecting. 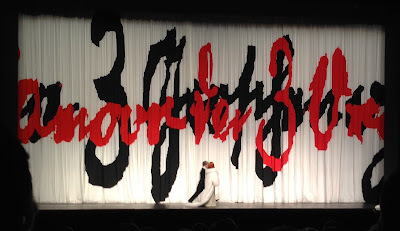 Earlier in the week any apprehensions about The Love for Three Oranges at Deutsche Oper were quickly dispelled with a witty Carsen production brilliantly delivered (Steven Sloane), sung in the original French with German and English subtitles. It was stunning. Envy is a sin. Mea culpa! Looking forward to more detailed reports.